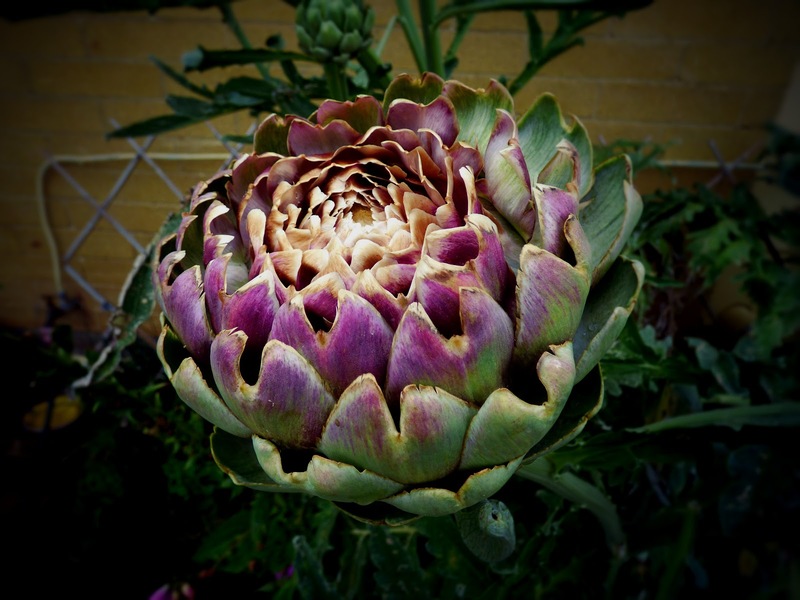 Our home organic edible garden summer January 2018 journal. 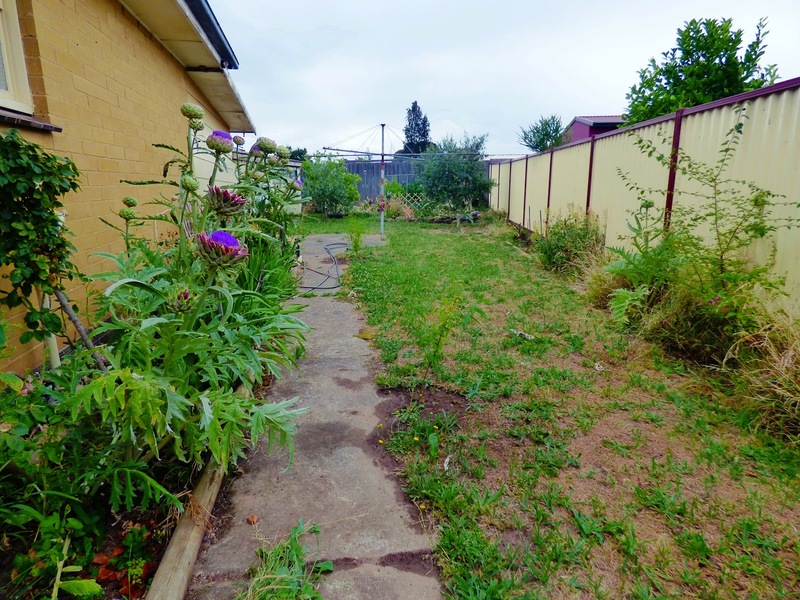 Our backyard this summer got patchy green lawn before it goes back to all green in colder months. 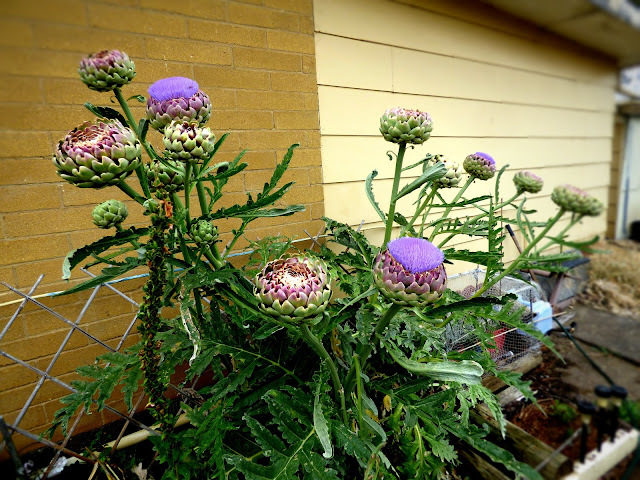 I decided not to keep watering the seeds I have planted since the seedlings die out quickly when the heatwave attacks this summer. Sometimes, summer heat in Ballarat is unforgiving for the edible plants and ending up spending more money on water bills than buying our veggies from the supermarket. If you google search, there are many health benefits of artichoke and if the plants are for your blood type diet - it will benefit you more than harm. Unfortunately, the artichokes are not of my blood type diet like the yummy tomatoes! But I still eat tomatoes occasionally. 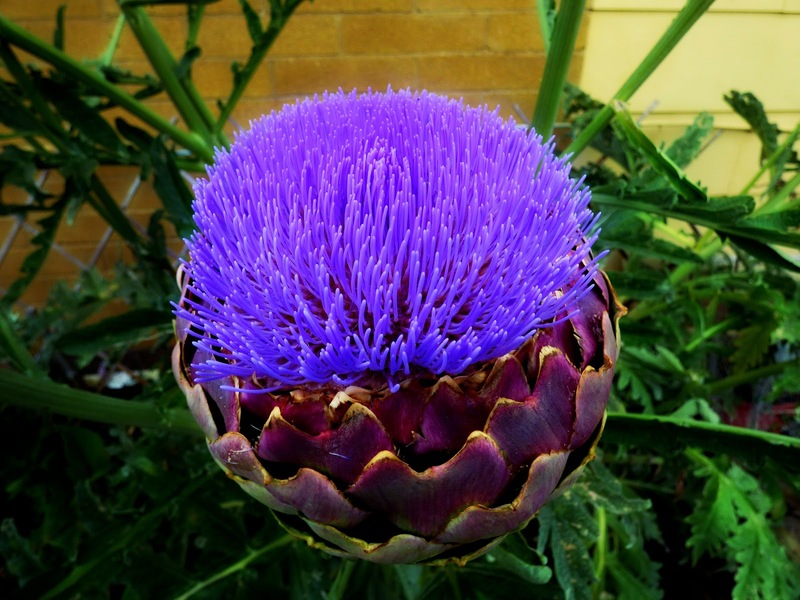 Artichoke Globes are all blossoming left for the Australian native bees! Artichoke Globe about to bloom! This former section of the garden was the prickly bushy beautiful rose that I have cut it all and let it go! I changed it to artichokes and other smaller herb plants around it. 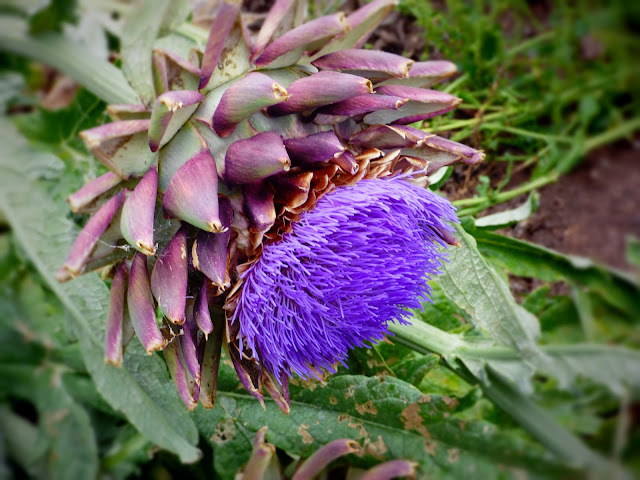 Artichoke blossom with the evidence of earwigs chomping the leaves overnight! White Radish Seed Pods - who wants one? I got plenty of seeds! Some of my organic Garlic letting for Bulbils for eating on our summer salads! The green background leaves is a new Morello Cherry tree that has not yet fruit in the garden. 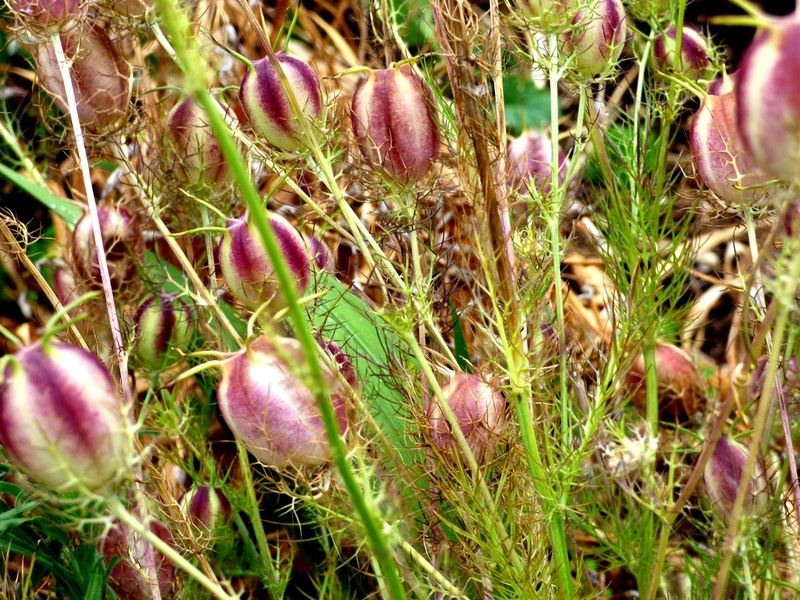 Love In A Mist seed pods after flowering! Ready for next season. I never have to replant them, as they often come back from the ground automatically seeds hibernated after flowering. 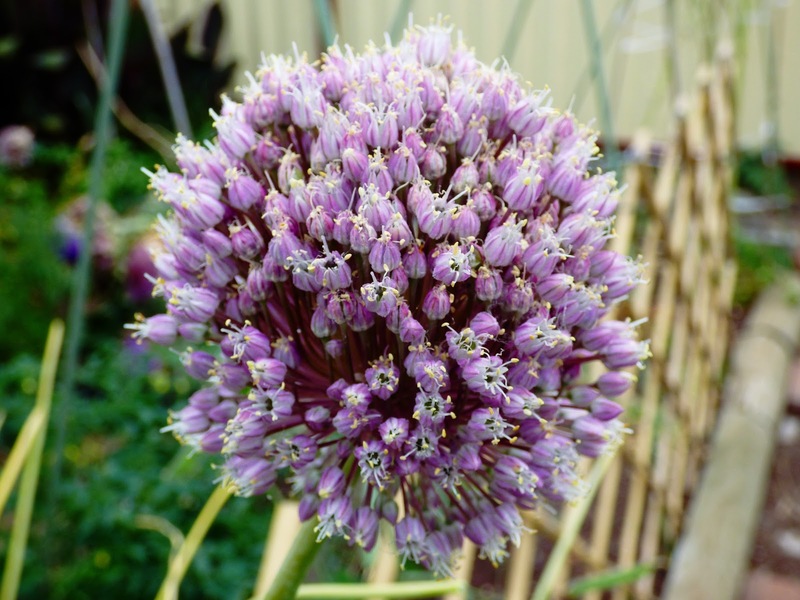 Purple Garlic - I use it as ornamental in the garden more so than eating - left it for the insects! 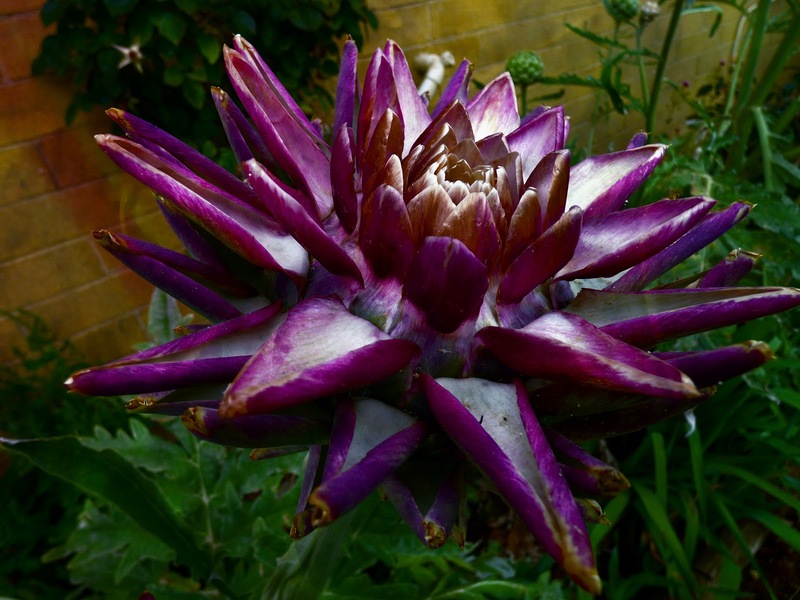 It is also suitable for cutting flower for decoration. 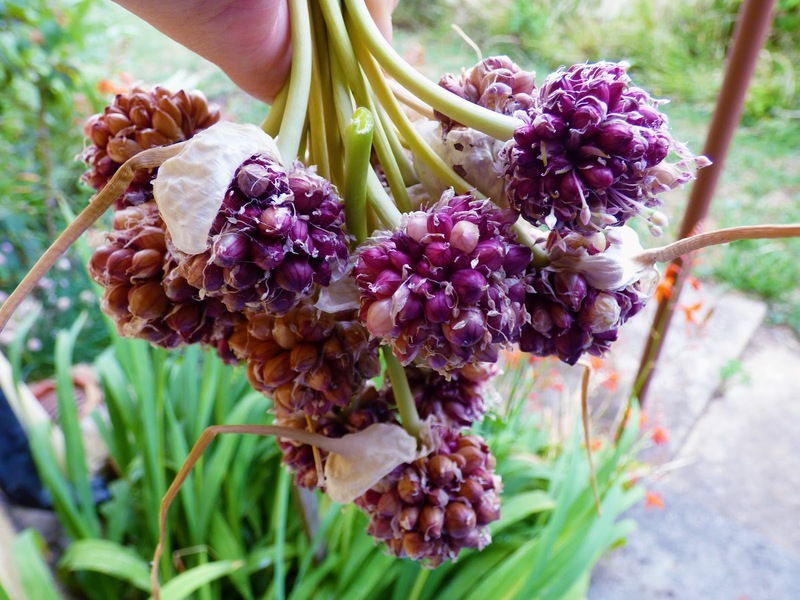 Organic Garlic Bulbils - if you are patient enough - you can plant them and wait for 2 to 3 years maturity. Other than that, you can cut the smaller leaves when it emerges in colder months for eating in salads or cooking. 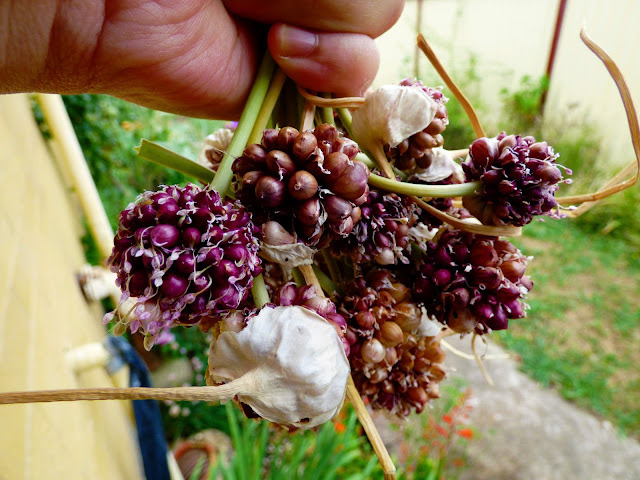 Garlic Bulbils are smaller than my fingernails!